REMINDER: ORLive Presents: "The Discovery of C'elle(SM): Novel Adult Stem Cell Found in Menstrual Blood"
OLDSMAR, FL--(Marketwire - August 7, 2008) - Cryo-Cell International, Inc. (OTCBB: CCEL), one of the largest and most established family cord blood banks, will broadcast the discovery of breakthrough stem cell technology and the launch of C'elle, the world's first service for women to store their own menstrual stem cells for future use. Produced by OR Live, results will launch on Thursday, July 10th, at 12 noon EDT. Cryo-Cell's discovery shows new scientific evidence that menstrual flow, which results from the shedding of the uterine lining (endometrium) during menstruation, contains millions of stem cells that have many properties and characteristics similar to those of both bone marrow and embryonic stem cells. Through several independent laboratory research studies, these menstrual stem cells have demonstrated the capability in vitro to differentiate into neural, cardiac, bone, cartilage, and adipose cells and possibly other cell types. Although research is preliminary, given their properties, Cryo-Cell believes that these menstrual cells demonstrate compelling promise to transform regenerative medicine in coming years. "Stem cells isolated from menstrual blood are multi-potent, highly prolific and readily accessible," said Julie Allickson, PhD, MS, MT (ASCP) Vice President of Laboratory Operations and Research & Development. "These novel stem cells demonstrate characteristics of both bone marrow mysenchemal stem cells and embryonic stem cell markers that may potentially demonstrate significant promise for future use in clinical regenerative medical therapies." 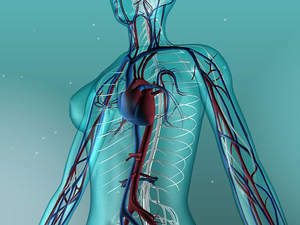 On November 1, 2007, Cryo-Cell announced the introduction of C'elle which enables women to collect stem cells found in menstrual fluid, which can be cryogenically preserved in a manner similar to stem cells from umbilical cord blood and may one day serve as a potential source for promising regenerative therapies to treat heart disease, diabetes, neurological disorders like spinal cord injury, Parkinson's and Alzheimer's diseases, in addition to cosmeceutical applications such as anti-aging therapies. Preliminary research related to the immunological profile of these unique menstrual stem cells suggests the that in addition to the donor, these stem cells may also potentially be used to benefit other family members who are genetically related to the donor, such as perhaps a parent, sibling or child. The virtual broadcast center will include details about the study, the cell characteristics, information about several preclinical studies currently under way, and an overview of the C'elle service. Based in Oldsmar, Florida, with over 150,000 clients worldwide, Cryo-Cell is one of the largest and most established family cord blood banks. ISO 9001:2000 certified and accredited by the AABB, Cryo-Cell operates in a state-of-the-art Good Manufacturing Practice and Good Tissue Practice (cGMP/cGTP)-compliant facility. Cryo-Cell is a publicly traded company. OTC Bulletin Board Symbol: CCEL. For more information, please call 1-800-STOR-CELL (1-800-786-7235) or visit www.cryo-cell.com. Statements wherein the terms "believes," "intends," "projects" or "expects" as used are intended to reflect "forward-looking statements" of the Company. The information contained herein is subject to various risks, uncertainties and other factors that could cause actual results to differ materially from the results anticipated in such forward-looking statements or paragraphs, many of which are outside the control of the Company. These uncertainties and other factors include the uncertainty of market acceptance of any potential service offerings relating to types of stem cells other than cord blood stem cells, including the C'elle service, given that menstrual stem cells and other new stem cells have not yet been used in human therapies, and treatment applications using such stem cells are not likely to be developed and commercialized for many years and are subject to further research and development; the need for additional development and testing before determining the ultimate commercial value of the Company's intellectual property relating to the menstrual stem cells; the need to complete certain developments, including completion of clinical validation and testing, before any new process other than C'elle can be commercialized, and the Company's development of its final business and economic model in offering any such service; any adverse effect or limitations caused by recent increases in government regulation of stem cell storage facilities; any increased competition in our business; any decrease or slowdown in the number of people seeking to store umbilical cord blood stem cells or decrease in the number of people paying annual storage fees; any adverse impacts on our revenue or operating margins due to the costs associated with increased growth in our business, including the possibility of unanticipated costs relating to the operation of our new facility; any technological breakthrough or medical breakthrough that would render the Company's business of stem cell preservation obsolete; any material failure or malfunction in our storage facilities; any natural disaster such as a tornado, other disaster (fire) or act of terrorism that adversely affects stored specimens; the costs associated with defending or prosecuting litigation matters and any material adverse result from such matters; decreases in asset valuations; any continued negative effect from adverse publicity in the past year regarding the Company's business operations; any negative consequences resulting from deriving, shipping and storing specimens at a second location; and other risks and uncertainties. The foregoing list is not exhaustive, and the Company disclaims any obligations to subsequently revise any forward-looking statements to reflect events or circumstances after the date of such statements. Readers should carefully review the risk factors described in other documents the Company files from time to time with the Securities and Exchange Commission, including the most recent Annual Report on Form 10-KSB, Quarterly Reports on Form 10-QSB and any Current Reports on Form 8-K filed by the Company. To learn more about the study and view a program preview visit OR-Live.